Markets continue to rally higher. This is favorable for our method that tries to capture good trending moves. In September Kite Pharma KITE was our best performer. 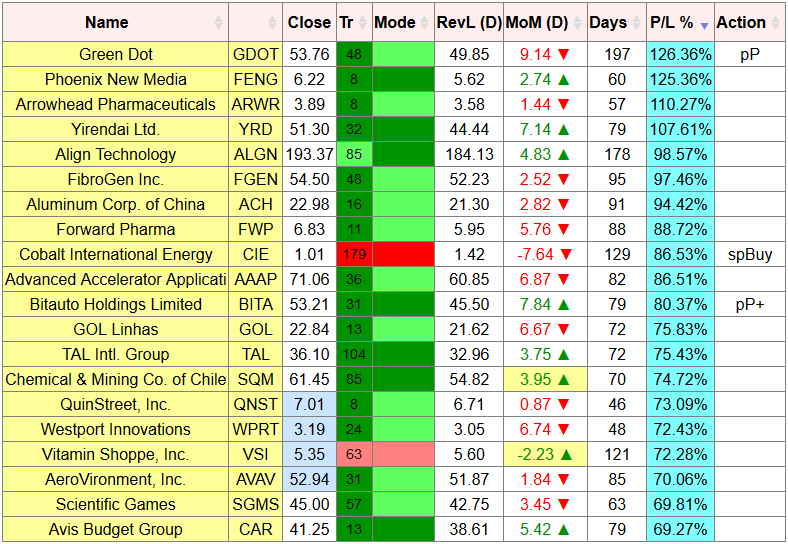 That stock was taken over and Green Dot GDOT is the new leader in our list. The Buy signal was given on 5th January when GDOT could be picked up at $23.75. It now trades at $53.76 for a 126% gain in 197 days. Phoenix New Media FENG stays in second place with an 125% gain in 60 days and Arrowhead Pharmaceuticals ARWR has moved into third with a 110% gain in 57 days. Those moves are not finished, stocks are held until their next Sell signal (or Buy signal for a short position). 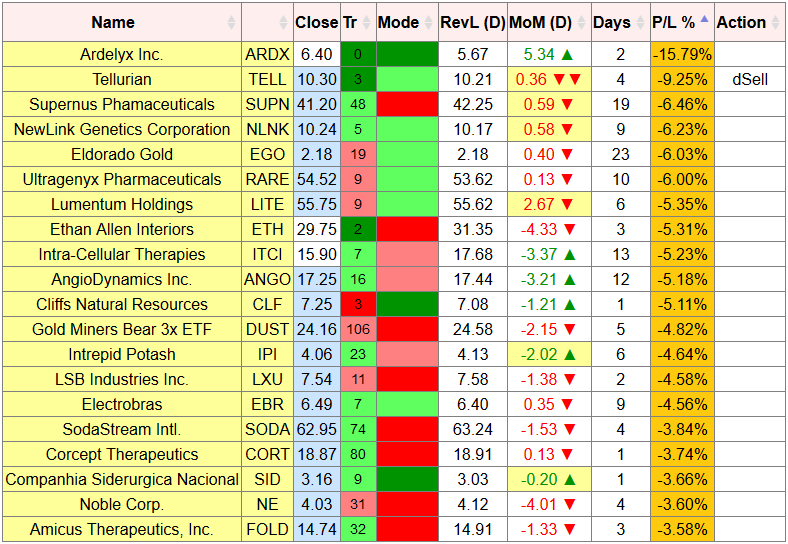 The current worst trades are long ARDX (-15.8%), followed by long TELL (-9.2%) and short SUPN (-6.5%). Always trying to keep losses small.